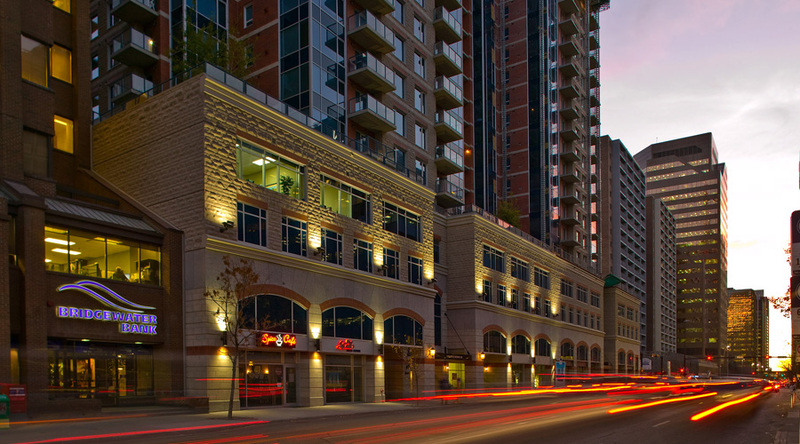 The Five West project was the first residential condominium in the City of Calgary’s traditional Downtown Business District. It posed a unique lighting challenge because of the nature of its mixed use concept; residential towers on top of a retail base. 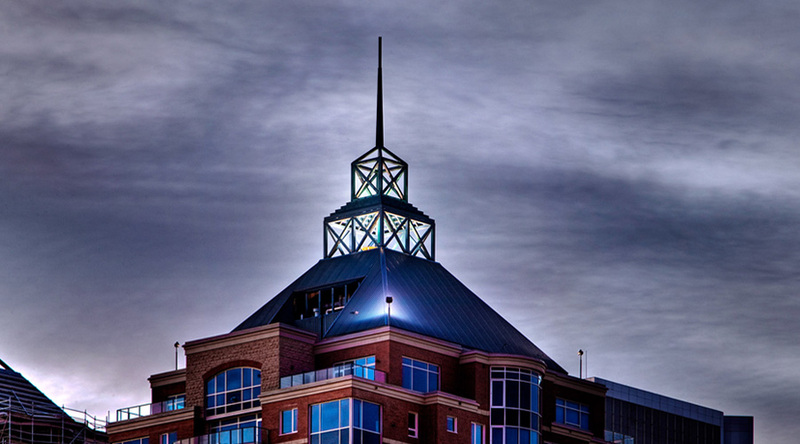 The design goal was to highlight the new downtown retail space and emphasize the beauty and unique architecture of the residential towers. In an exterior environment, especially one in southern Alberta, the high ambient light levels can pose a challenge for creating enough of a contrast ratio to effectively and efficiently highlight a building’s facade and details. Pinpointing the features that make these towers unique, such as the metal spire on top of the peaked roof, and selecting the technologies that best suited the challenge allowed for the desired emphasis to be achieved. 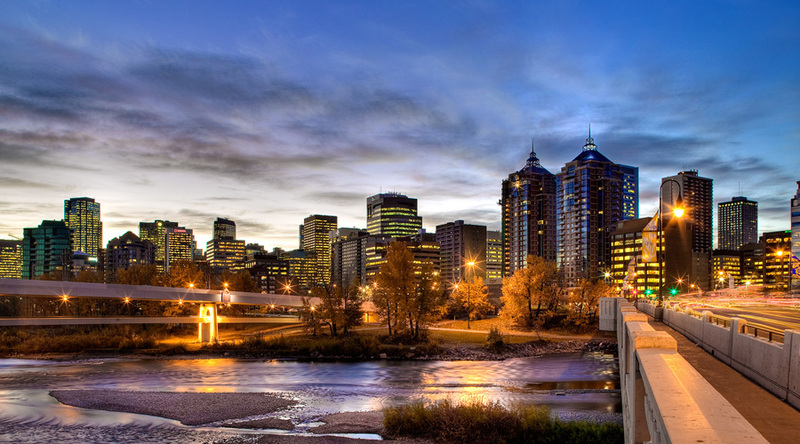 The Five West towers are defined in the Calgary downtown skyline and are now considered a landmark on the nearby Bow River. The direct and indirect lighting, wall mounted on the façade, grazes the stone and creates visual interest that sets it apart from the adjacent facades on the streetscape. At a distance or close up, the Five West Tower’s brand is elegantly identifiable in the urban landscape of downtown Calgary.